Zeppelins, or rigid airships, are now just a distant memory. While there are still blimps occasionally in the sky over our heads, they are in fact similar but not the same. 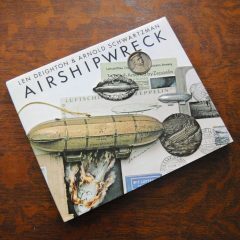 The airships discussed in this book, Airshipwreck, are what was and at one time they were the future. From the brilliant mind of Len Deighton comes SS-GB, a thrilling novel of espionage and counter-espionage set in a world where the Germans defeated the English in WWII. At first, I thought that Fighter would be a fictionalization of the Battle of Britain similar to what Len Deighton had done with the fictional bombing run in Bomber. But I was wrong in the best of ways. It is not a fictional account, but a detailed dissection of one of the turning point air battles of World War II. 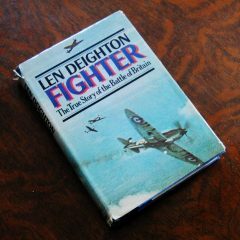 It amazes me that Deighton, a master of fiction, wrote such a comprehensive history on the Battle of Britain. A battle, that behind the scenes, was marked by ineptitude, hubris, politics, and more than a few elements of self-sabotage on both sides as to appear, in a vacuum, as more fiction than fact. In Twinkle, Twinkle, Little Spy, Antony joins the ranks of Palmer, Armstrong, and Charles. From the dry desert of the African Sahara to the wet fields of Ireland, the crisp winters of New York City and Washington D.C. to the humidity of Miami, Len Deighton’s Twinkle, Twinkle, Little Spy is a global jaunt following the implications and repercussions of a defected Russian scientist named Bekuv, his wife, Major Mann, Red Bancroft, and our lead Frederick L. Antony. Spies work together; in teams, in networks, for organizations, and sometimes for themselves. 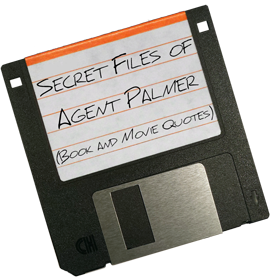 But what happens when one of two former associates is assigned to spy on the other? That’s what happens in Len Deighton’s 1975 classic Yesterday’s Spy.